Khon Kaen: The Chartthaipattana Party on Monday kicked off its election campaign in the Northeast in Khon Kaen and unveiled 10 candidates who will run in the March 24 poll. Addressing a crowd of 2,000 gathered at Bung Kaen Nakhon, the province's most famous lake in Muang district, party leader Kanchana Silpa-archa said the candidates are all eager to represent the people and promote the party's policy platforms. 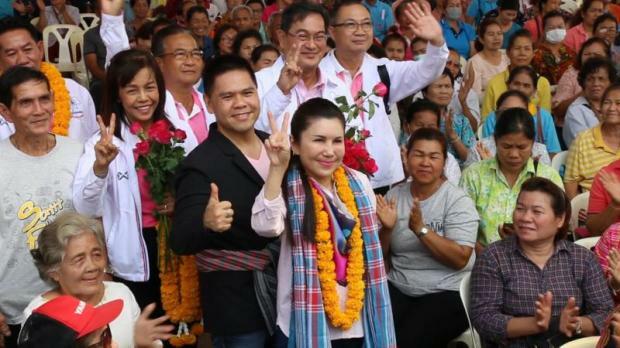 The candidates were led by Laksana Kaewklaharn, wife of former deputy transport minister Prachak Klaewklaharn, in a province where 10 House seats are available. 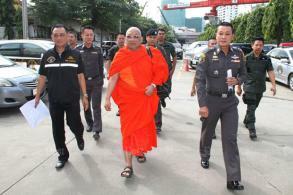 Ms Laksana is deemed the strongest candidate to win in the province. She said the party, whose support base is in the central region, has only ever won two seats in the province but expects to improve on this in the upcoming election. Ms Kanchana also promised to push ahead with planned development projects in the province including the Light Rail Transit. The planned 26km light rail network from Samran to Tha Phra subdistrict, valued at around 15 billion baht, is the initiative of local business groups and the provincial administration. The project has received approval from the Land Traffic Management Commission, a national think tank for transport policy. "The party has made it clear that it will support the Light Rail Transit project and other development schemes to materialise the plan to make the province the centre of the northeastern region," she said.